View More In Weed & Pest Control. Beginning in the late 1980s, a series of improbable bark beetle outbreaks unsettled iconic forests and communities across western North America. An insect the size of a rice kernel eventually killed more than 30 billion pine and spruce trees from Alaska to New Mexico. Often appearing in masses larger than schools of killer whales, the beetles engineered one of the world's greatest forest die-offs since the deforestation of Europe by peasants between the eleventh and thirteenth centuries. The beetle didn't act alone. Misguided science, out-of-control logging, bad public policy, and a hundred years of fire suppression created a volatile geography that released the world's oldest forest manager from all natural constraints. Like most human empires, the beetles exploded wildly and then crashed, leaving in their wake grieving landowners, humbled scientists, hungry animals, and altered watersheds. Although climate change triggered this complex event, human arrogance assuredly set the table. With little warning, an ancient insect pointedly exposed the frailty of seemingly stable manmade landscapes. And despite the billions of public dollars spent on control efforts, the beetles burn away like a fire that can't be put out. 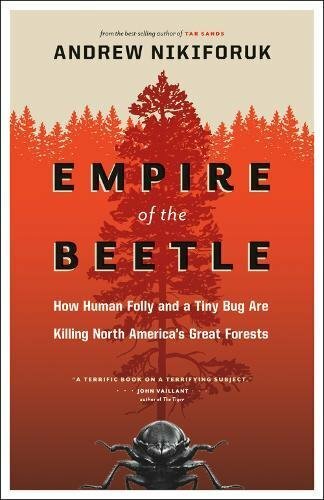 Drawing on first-hand accounts from entomologists, botanists, foresters, and rural residents, award-winning journalist Andrew Nikiforuk investigates this unprecedented beetle plague, its startling implications, and the lessons it holds. If you have any questions about this product by Greystone Books, contact us by completing and submitting the form below. If you are looking for a specif part number, please include it with your message.